We typically don’t think about a friend or family member being arrested until it actually happens. Though your head may be spinning, it’s important to figure out how to get your loved one out of jail as quickly as possible. But if you don’t take decisive action, it only delays the process. That’s why it’s so important to post bail correctly. In this blog post, our local bail bondsman will explain how to do that. Follow up on the arrest – Though you may be experiencing mixed emotions at this moment, now probably isn’t the time to figure out why your friend or family member committed a crime. However, it’s critical to know the amount of bail that is required to get them out, as well as the jail in which they’re being held. Find a reliable bail bond service – It’s now in your hands to coordinate your loved one’s release with the help of a bail bond agent. In New York City, there are countless agencies. At ABC Bail Bonds, we offer speedy, confidential, and friendly service. You can feel comfortable knowing that our bondsmen are licensed and thoroughly trained. Plus, our team doesn’t see you or your loved one as just another case. We truly care about your well-being, which is why we go the extra mile in helping you through a difficult situation. On the surface, it may seem impossible for you to come up with thousands of dollars for bail. For your convenience, we accept all major credit cards, checks, and offer easy payment plans. Be aware of costs and collateral – The majority of agencies require payment of 10 percent of the bail amount in cash, which is nonrefundable. From there, they will work with you to determine collateral necessary to make up the investment. As long as the accused appears at his or her court date, the bond is “terminated” and the collateral is returned to you. On the other hand, if they fail to appear in court, you risk losing the collateral. 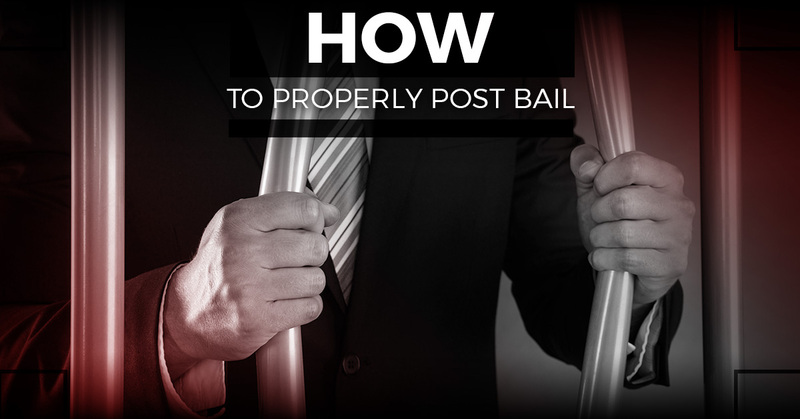 Post bail – Soon after you come up with a solution for the funds, the bail is officially posted and the accused will be released from there. Note that by attending court, the bail process ends. It’s then up to the accused as far as hiring legal representation, attending any sort of trial, etc. Though each case is unique in its own way, we aren’t limited to who we serve. As a third generation agency with more than 50 years of industry experience, we take great pride in customer service. Let us get you on track to resolving your legal matter. Call ABC Bail Bonds today.